Industrial designs in Greece may be protected at the international, EU and national levels. Registered international designs with Greece as a designated state have the same effect as a valid national registration. Registered Community designs are automatically valid in Greece. Unregistered designs are also protected in Greece under EU law. the EU Community Design Regulation (6/2002). With regard to national industrial designs, Greece has a ‘partially cumulative’ protection system. According to this doctrine, a registered design is eligible for protection under both copyright and design law, provided that the requirements for each type of right apply. Protection under copyright law also applies independently to unregistered designs, provided that the conditions of Law 2121/1993 on copyright protection are met. The Greek courts apply the different criteria under the two types of protection on a case-by-case basis (ie, novelty and individual character under design law and originality resulting from the personal contribution of the creator under copyright law). In a case involving an international design registration (recognising the new and individual character of the design in question) that did not designate Greece, the Athens Court of Appeal found that, since the design in question fulfilled the conditions to be considered a creation of exceptional originality, it was eligible for protection in Greece under copyright law (Decision 5863/2008). have been disclosed to the public within the European Union. ‘Disclosure’ is understood to mean any public announcement which is made in such a way that specialists in the relevant sector can be informed of it in the normal course of business. Unregistered designs can also enjoy protection under Greek copyright law, although this requires a considerably higher degree of originality. In this context, a design must exhibit particular individuality which results from the creative intellectual work of the creator and gives the design such originality that it is distinguished from similar creations. The Thessaloniki Appeal Court held that specific seams on clothes, the placement of pockets and the size, shape and placement of buttons lacked individuality and thus were not original; therefore, they were not protectable under copyright law (Decision 2015/2010). An application for registration of an industrial design can be filed with the Greek Patent Office by the creator or his or her successor in title. If the applicant is not the sole creator or co-creator of the design, the origin of the right to the design must be proven by submission of a related declaration. Only designs that are new and have individual character can be protected. They must also be susceptible to industrial application (Thessaloniki Court of Appeal Decision 1044/2011). In order for a design to be considered as having individual character, the overall impression that it produces on the informed user must differ from any design disclosed before the filing or priority date. The designer’s degree of freedom in developing the design must be taken into account when assessing individual character. Protectable as a design is the appearance of the whole or part of a product resulting from the lines, contours, shape, texture or materials of the product itself or its ornamentation. In this context, a ‘product’ is defined as any industrial or handicraft item, including parts intended to be assembled into a complex product, packaging, get-up, graphic symbols and typographic typefaces, but excluding computer programs. the design is not dictated solely by its technical function. As a ‘complex product’ is considered to be a product composed of multiple components that can be replaced and that permit disassembly and reassembly of the product, ‘must-fit’ spare parts are not protectable. Also not protectable are features of a product’s appearance that are dictated solely by its technical function, or that must be reproduced in an exact form and dimensions in order to permit the product into which the design is incorporated or to which it is applied to be mechanically connected to or placed in, around or against another product, so that either product may perform its function. In order for a design to be eligible for registration, it must also not be contrary to public policy or to accepted principles of morality. An important aspect of the protection of registered designs is the 12-month grace period for designs that have been disclosed by the designer, his or her successor in title or a third party. Due to the particular character of designs within the market, this grace period can prove valuable to creators, who have the opportunity to evaluate the impact of their design on the market before registering it. Priority must be claimed within six months of the date of first filing. Multiple applications are permissible, provided that the number of designs included does not exceed 50 and all designs belong to the same class. Deferment of publication of up to one year is possible on payment of a €30 fee. The €130 fee for a single design covers the application, publication and first five-year protection term, making design registration an affordable and attractive option. The maximum protection term for designs is 25 years, renewable every five years. The Greek Patent Office assesses only the formalities of design applications. Any missing documents or details may be submitted within four months of application. After this term, the design is published in the Official Bulletin of the Greek Patent Office. Greek law does not provide for an opposition procedure. its exploitation or publication contravenes public policy or accepted principles of morality. The most common way to commence an infringement case is by sending a warning letter before initiating court proceedings. This has proven to be an effective method, since Greek infringers often cease infringement on receipt of a strongly worded cease and desist letter. Pursuant to Articles 178 to 206 of Law 4512/2018, which was published in the Official Gazette of the Hellenic Republic (17 January 2018), from 17 October 2018 mediation will be compulsory in legal disputes that arise from patent, trademark and industrial design infringements. It remains to be seen how the new rules will be applied and how this new practice will affect IP litigation. In a recent decision, the Administrative Plenary of the Greek Supreme Court (Areios Pagos) ruled that compulsory mediation in civil disputes is unconstitutional according to the requirements of the Hellenic Constitution. Rights holders and their exclusive licensees are entitled to bring infringement actions before the competent courts. In cases of co-ownership, infringement actions can be brought independently by each co-owner. Although changes to the Law on Civil Court Proceedings recently entered into force with the aim of simplifying and accelerating proceedings, main proceedings still experience significant delays. This makes it indispensable for the rights holder to consider filing for preliminary proceedings – in particular, temporary restraining orders and injunctions. The quickest way to halt infringement is to file a temporary restraining order. In order for the court to grant a restraining order, the petitioner must prove the existence of a prima facie serious infringement and the exceptional urgency of the matter; the element of urgency in particular must be evident for the grant of an injunction. The related request must be made at the same time as a petition for injunction. A granted temporary restraining order remains in effect until the hearing on the injunction takes place. disclosure of detailed information and accounts concerning the defendant’s infringing activities. The implementation of the EU IP Rights Enforcement Directive (2004/48/EC) established the right of rights holders to request preservation of evidence, inspection and compensation for damages. 20 years after the date on which the infringement was first committed. payment of hypothetical lost royalties that the infringer would have paid to the rights holder had a licence agreement been in place. In this case, the plaintiff must submit evidence to justify the requested amount. The court can also order destruction of the infringing products. The law does not provide for punitive damages. any other relevant published or advertising material. Greece has two specialised EU (formerly Community) trademark and patent courts, based in Athens and Thessaloniki. These courts have exclusive jurisdiction over design infringement cases and copyright disputes under the conditions established by the applicable legislation. Judges serving these courts receive special training in IP matters during their studies at the National School of Judges before their appointment to the bench. The law allows for expedited and even on-the-spot destruction of infringing goods, with the infringer’s consent. In order for assignments of rights and any other changes (eg, name or address changes and licence agreements) to have legal effect, they must be recorded with the Greek Patent Office. Recordals can be made both while a design application is pending and after registration. a power of attorney, simply signed by the assignee. a power of attorney, simply signed by the rights holder. a power of attorney, simply signed by the licensee. It is recommended that the new rights holder record the assignment in the register in order to invoke the rights deriving from the design in case of infringement. The protection provided under design, copyright and trademark law overlaps. Each type of protection covers different aspects of an IP right, while the conditions of protection and granted rights also differ. Therefore, in the context of related decision making, the comparative advantages and disadvantages of these rights must be assessed. The protection offered by each type of right often complements that of the other rights. Design protection may also fall under the realm of unfair competition law and benefit from provisions pertaining to unregistered distinctive signs. In light of the above, it is crucial that rights holders undertake a comprehensive evaluation of their IP portfolio with the assistance of an IP expert. In doing so, they can strategically combine the protection options offered, leading to the most effective management of their IP rights. Maria Athanassiadou is a partner and co-founder at Dr Helen G Papaconstantinou and Partners Law Firm and heads the patents and industrial designs department. She is an attorney at law with more than 20 years’ experience in intellectual property, focusing her practice on IP litigation, prosecution and counselling, with a particular emphasis on patents, utility models, supplementary protection certificates, industrial designs and trademarks. 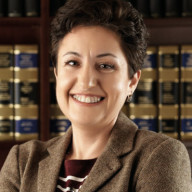 She graduated from the University of Athens with a law degree, is admitted to practise before the Supreme Court and the Council of State and is a member of the Athens Bar. She is an active member of the International Trademark Association and the Pharmaceutical Trademarks Group, and regularly contributes to various trademark, design and patent publications.